The Cayman Islands offer an abundance of things to see and do. So much so that many travelers have a hard time choosing what to experience first. From beaches and botanical parks to shopping and dining, there are plenty of ways to make a trip to the Cayman Islands exactly what you want it to be. If you’re ready for fun on our islands but aren’t quite sure where to begin your adventure, consider following our customized itinerary. We’ve curated a list of some of the top attractions and activities, and some lesser-known gems that will surely be memorable. Stay a weekend or a week. Squeeze the good times into a couple of days in the Cayman Islands or enjoy a more leisurely experience. Visitors come from around the world to lay out on Cayman Kai and relax in the privacy of this beautiful beach. 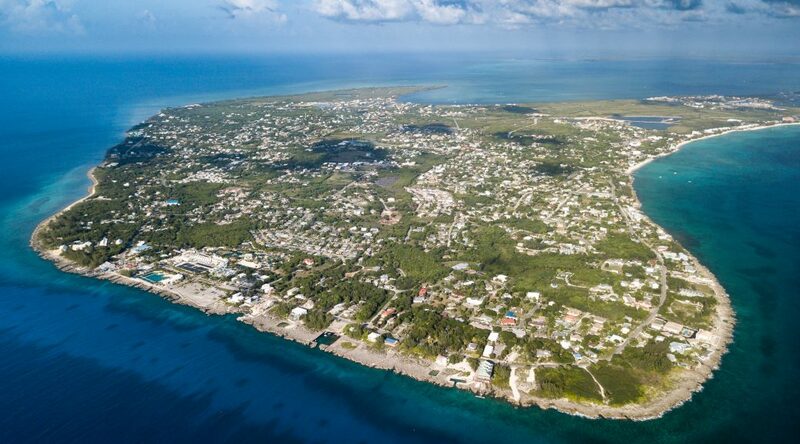 Cayman Kai sits on the northern tip of Grand Cayman, and it provides the epitome of island life. This secluded beach features stunning sea views and it’s great for swimming. Participate in water sports, splash in the lagoon, and linger under swaying palm trees. Head to the Queen Elizabeth II Botanic Park to take in natural beauty along with history and culture. This pretty park showcases the simple elegance of traditional Caymanian gardens, and it highlights exotic floral displays. Guests who visit the park leave with an appreciation for nature and preservation, a delicate balance that must be considered by all island inhabitants. Camana Bay is a lively town on Grand Cayman that spans 675 acres between the North sound and Seven Mile Beach. The community is a sea-to-sound “village” with places to shop, dine, live, and play. Pedestrian-friendly and easily accessible via Seven Mile Beach, Camana Bay is an ideal destination for a day, afternoon, or evening. Lush landscaping and welcoming courtyards invite locals and tourists to linger and interact. Visit Camana Bay and pick up fresh produce at the weekly farmers market, sit down to cocktails and live music at a bar, browse jewelry and bookstores, swing an hour away on a hammock, or climb the 75-foot Observation Tower. During your visit to the Cayman Islands, set aside some time to go to the Cayman Craft Market in bustling Downtown George Town. This one-of-a-kind market features Caymanian crafters selling thatch bags and hats, authentic island jewelry, paintings and woodcarvings, and much more. Peruse vendors offering local spices, jams and jellies, pickles, and delicious snacks. A trip to the Cayman Islands isn’t complete without a visit to the famous Seven Mile Beach, one of the Ultimate Beaches in the Caribbean according to Caribbean Travel + Live and TripAdvisor’s 4th Best Beach in the Caribbean. Seven Mile Beach lies on Grand Cayman’s western side and offers sparkling water, coral sand, and a shoreline filled with luxurious properties. This is just a small sample of the many things to do and see in the Cayman Islands. If you need more ideas for activities and attractions during your stay, simply ask us!